The PM's wishlist is a thought provoking political fiction and offers practical solutions to India's progress. This is second fiction related to Prime Minister that I am reading (other recent one being Prisoner, Jailor Prime Minister). While the other book doesn't really go deep into India's problems, The PM's wishlist is bang on into India's challenges and solutions. It is an interesting and useful read, given that general elections are less than a month away. I seriously wish that PM aspirants such as Sri Narendra Modi and others read this book once and try to implement some of the ideas, if not all. Book is a work of fiction, but the ideas are very practical and doable. PM's wishlist is a set of promises made during the election manifesto, by fictitious Prime Minister Sharan Karan. Book not only lists the ideas, but also explains their execution and implementation, which is again, very much feasible if only people at the top have had the willpower. 1. Increasing base of tax paying citizen from 2.5% to 20% (Currently just 2.5% of Indians pay Income tax) and lowering tax slabs. Taxpayers to get preferential treatment and additional benefits. 2. Prayaschit scheme for black money or other financial offenses- before being declared guilty, if culprits can pay up and undo the damage they've done, they get to go free. This and many other interesting points and concepts are explained in detail. Book also raises lots of questions about our defense and economic preparedness, if India has to attain the status of a Super power. If a security guard at the mall entrance finds out that an incoming car has a bomb or terrorists, what should he do? What is our second line of defense? Security assessment via cocept of AWVI (Advantages, Weaknesses , Vulnerability , Impediments) is a good thought. Of course having such wishlist is easy, but realizing it is tough. But the book anticipates the potential challenges in their executions and gives solutions as well. There is no need for caste based reservations, freebies from the govt and other gimmicks our current political parties resort to, to make India super power. Get the fundamentals of economy, military and administration right and rest will fall in place. 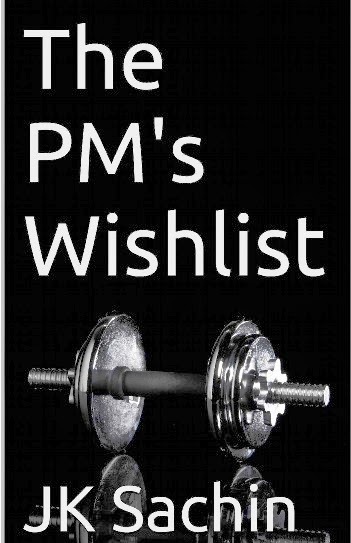 'The PM's wishlist' is only available as ebook and can be bought on Amazon for Rs 187 or 2.94 USD [Link] I bought and read it on Kindle for PC, so it took more time to finish this book compared to a regular printed book. I feel this book deserves to be published in print and sold to general public. Here's your chance to grab a copy for free. Tell us what according to you is the biggest challenge India is facing and how would you solve it, if you were selected for the top post? How would you convince others about your idea, execution and its benefits? Do write a brief comment explaining your thoughts. Best idea gets a mention on this blog and a free copy of the book from its publishers. Comments written within next 2 weeks will be evaluated for this giveaway. I think its the problem of sustainable development which also works towards social upliftment for all. Solving it is not that simple but yes taking inputs from local people and understanding their needs will be a good start. Once the inputs have been taken I will apprise people about the plan we have decided to execute. People can monitor the progress of each plan at all points. The moment development projects start other issues like, jobs, social development can be solved to an extent. Convincing should not be a problem, since the loacl people will be made a part of the process and wont be just mute spectators. The one issue that should be relentlessly pursued is provision of education to all. Reservation based on caste must be stopped and seats be awarded to students purely based on merit. The much needed national awakening can happen only through education. The biggest challenge faced by india is the "belief" that something can be done . That India can achieve something. All are linked to each other and easy to understand and focus upon. I don't think convincing others would be a problem as everybody understands the problem , the only issue is the belief - which i need to generate. Dear Ani, Gundumaami and Amit Chaudhry, thanks for your comments and participating in the contest. 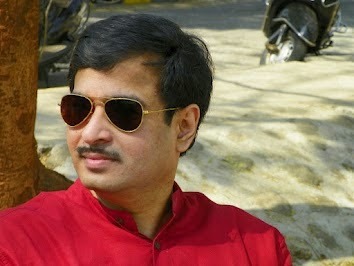 Jury has declared Amit Chaudhry as the winner.